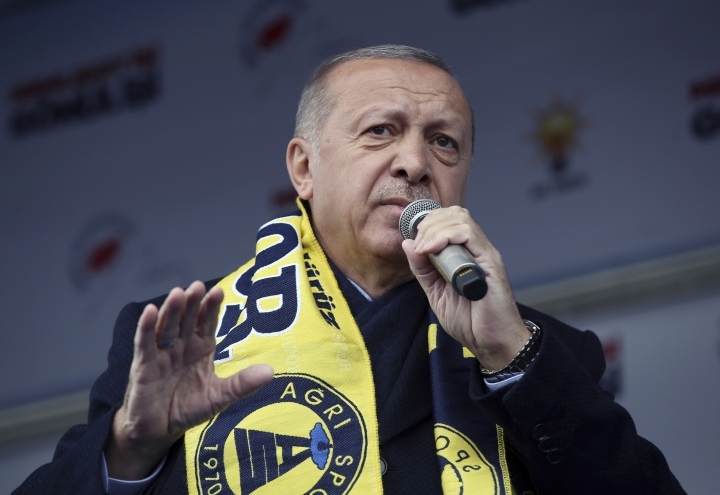 ANKARA, Turkey — The Greek government voiced opposition Monday to the suggestion from Turkish President Recep Tayyip Erdogan that Istanbul's Hagia Sophia — a Byzantine-era cathedral that now serves as a museum — could be reconverted into a mosque. 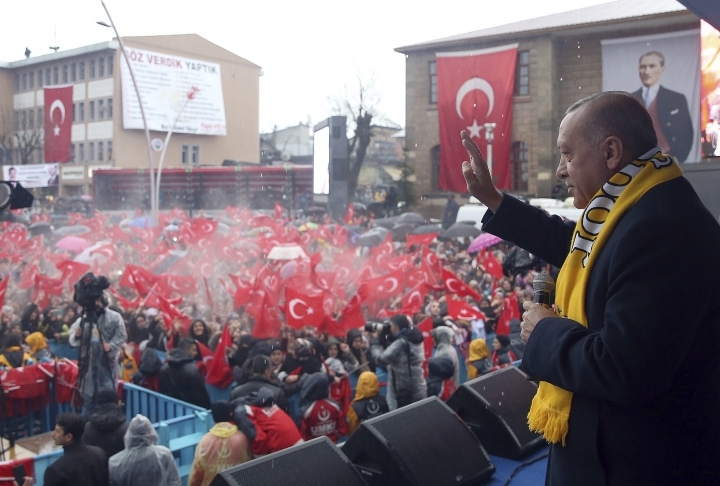 In a television interview Sunday ahead of Turkey's March 31 local elections, Erdogan indicated that it was possible to "change its name from museum to Hagia Sophia Mosque." 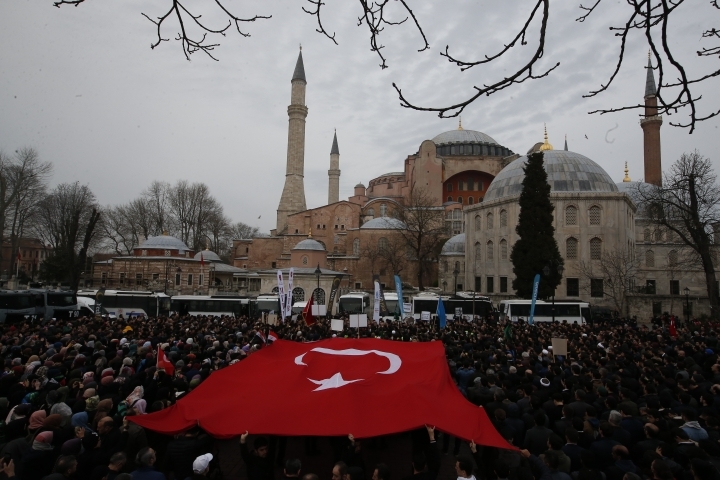 There have been increasing calls for the government to convert the symbolic structure back into a mosque, especially in the wake of reports that the gunman who killed Muslim worshippers in New Zealand left a manifesto saying the Hagia Sophia should be "free of minarets." 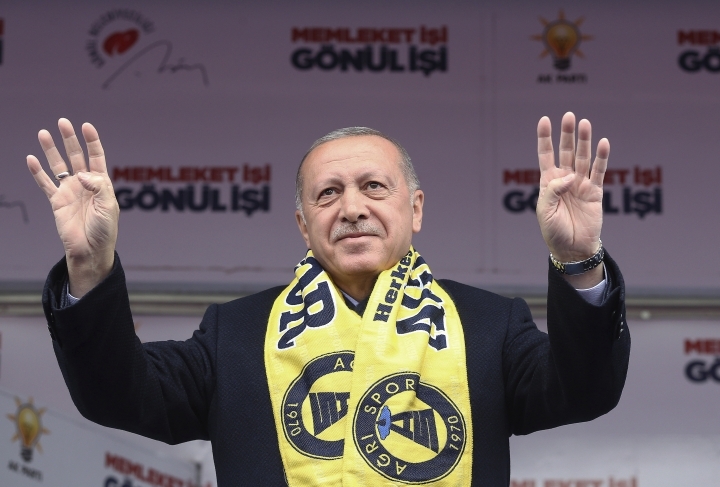 Erdogan's suggestion drew ire in Greece as the cathedral, originally built in the 6th century was the main seat of the Greek Orthodox church. It remained so until it was converted into a mosque after the Ottoman conquest of the city, then-known as Constantinople, in 1453. 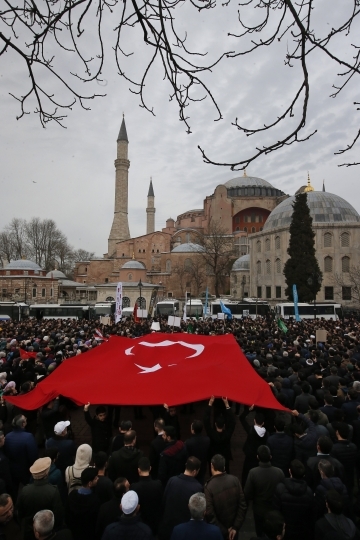 Turkey's secular founder turned the structure into a museum in 1935 that attracts millions of tourists each year. "So any questioning of this status is not just an insult to the sentiments of Christians, it is an insult to the international community and international law."